Home » Yoga Thoughts » Snap-Judgments – Pros and Cons. Snap-Judgments: hasty decisions or opinions. If you’ve ever been on a blind date (or swiped right or left on an on-line dating app), interviewed a candidate for a job, chosen your line at the grocery store based on how the person manning the register looks, or decided whether or not to engage with the young man with a petition at your door, you’ve made a snap judgment. When we can rely on the wisdom of experience, snap judgments make us more efficient. As an example, think about the complicated act of deciding whether to go or stop when a traffic light turns yellow. You have to assess your rate of speed, the braking responsiveness of your vehicle, your distance from the intersection, and on-coming traffic from other directions. Calculations from even one of these decisions could fill several pages in your old math notebook. Yet when you’re behind the wheel of a car, you must make your choice in an instant. The skill of making snap judgments is actually hard-wired into our brains. It happens beyond our awareness, deep in the unconscious mind and is being studied extensively by psychologists. Knowing more about how we make these hasty decisions doesn’t just tell us more about ourselves. It could have a significant impact on society as a whole. Learning more about snap judgments, in other words, could shed a great deal of light on how individuals and their actions are affected by biases, assumptions and stereotypes. It can seem paradoxical that, despite the fact that snap judgments happen mostly beyond our awareness, it is important that we are aware when we’re making one. How on earth is this even possible? Mindfulness practices such as yoga train us in maintaining a state of mind called being the observer. In this state of mind, we are observing more than our actions and thoughts. We are actually developing an awareness to very subtle emotions, impulses and feelings. (Becoming the Observer by Gary van Warmerdam). This awareness allows us to (gradually and with practice) change our behavior at a deep and lasting level. When the ability to observe our thoughts becomes more manageable, we are ready for a deep dive into the practice of being the observer. We begin to notice our reactions in postures – the hard ones and the easy ones. Is our impulse to back off when something is challenging or scary? Or do we jump in with two feet and little caution? Does our immediate reaction (“No way!” or “Yeehaw!”) dictate our action? Or are we able to take a breath and mindfully choose how we’re going to navigate a posture? Weeks, months or years of practice being the observer in the relatively stress-free, safe confines of our yoga mat can be profoundly fruitful. We discover that all of this practice has given us a keen awareness of parts of our mind which have lurked in our unconscious for most of our lives. That’s right! Even the part of the mind responsible for making snap judgments. 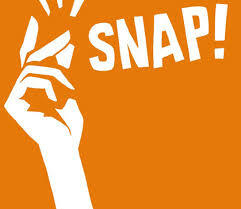 As the observer, we can determine the quality and source of the impulse that initiates our snap judgment. We can continue to rely on the ones that help us quickly and accurately determine whether to stop at that yellow light or to continue a blind date onto dinner. We can hit pause on others in situations that require more thought – such as whether to hire one candidate over another. Best of all, we can notice when our snap judgment comes from a place that is not well-grounded, such as a bias or even a stereotype we grew up with. In short, as the observer, we can actually choose our snap judgments mindfully. Quite a feat!